Do you want to enjoy a great holiday on the Costa Blanca? Our real estate agency offers wonderful properties for sale in Torrevieja so that you and your family discover all the surprises that await you in this magnificent place in Alicante (Spain). Torrevieja is one of the most tourist cities in the south of the Costa Blanca. Previously, Torrevieja was considered a place to enjoy holidays. However, the city has been growing and with it, its inhabitants. A lot of responsibility for the growth of the population has the foreign inhabitants, who have found a new way of life in Torrevieja. Its climate and its beaches are the main causes that attract the attention of its tourists. Warm temperatures in summer, a pleasant climate in winter and a beautiful coastline, make Torrevieja a city to increase in quality of life. What kind of properties for sale in Torrevieja offers Casas Espania? 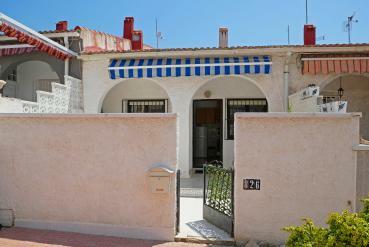 Casas Espania has 150 properties for sale in Torrevieja. A diverse range of homes, with their respective qualities, that will try to awaken your five senses. We have apartments, bungalows and villas for sale so that, analysing your family situation, our real estate agents advise you to buy one or another type of property. Similarly, our properties are spread throughout Torrevieja so that we can adjust, even more, to your tastes and needs. San Luis, La Siesta, La Torreta, El Chaparral, Torrevieja center, Altos de Limonar, Jardín del Mar, Los Balcones or La Florida, are some of the many areas where you can choose to live in Torrevieja. Different areas so that your family is as comfortable and happy as possible. How to try one of the properties for sale in Torrevieja? If you are willing to fulfill your dreams and that of your family, come and meet Casas Espania in person and be amazed with all the qualities of our properties for sale in Torrevieja. Our main headquarters are located in Calle Bizet Shopping Center Local 6 La Siesta - 03184 Torrevieja (Alicante). Our real estate agents are ready to advise you at all times. If you want to call us by phone before coming to know us, you can reach us by dialing 0034 966 785 202 or 0034 669 366 996. If you want to be in constant contact with our real estate agency, write us an email to info@casasespania.com.